SING JOYFULLY is a workhorse of the Hope hymnal line. Two hundred new songs were included in SING JOYFULLY, when compared with its predecessor, HYMNS OF FAITH. There are 70 songs of adoration, 39 scripture songs, 25 hymns of the Holy Spirit, 34 hymns for Advent and Christmas, 32 hymns for Lent and Easter, and 14 hymns of spiritual warfare, to name just a few of the many categories. Readings were added throughout the book in order to complement and amplify the themes of the hymns. The readings, liturgies, and prayers are thoroughly indexed for easy accessibility. In addition to the scriptures interspersed throughout the book, the traditional Responsive Readings are found in the rear of the hymnal, and feature the New International Version of the Bible, except in the case of the most memorable, classic passages, such as Psalm 23, etc. SING JOYFULLY has been organized in a traditional manner, grouping hymns in general categories, such as Worship, Testimony, Guidance, and so forth. Each section is introduced with its own subject-title page. Care has been taken to present a handsome, uncluttered hymn-page, with a readable type. 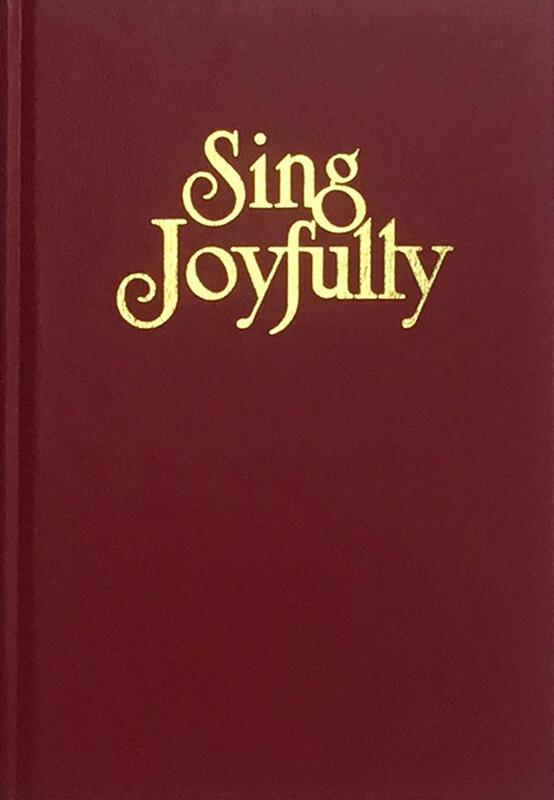 SPIRAL BOUND EDITION - A spiral bound edition of SING JOYFULLY is offered particularly for organists, pianists and choir directors. This special edition is slightly larger than the pew edition (making it easier to read) and is available in red only at the price of $29.95. IMPRINTING - A very popular option for customers, it is possible to add an identifying church imprint at the bottom of the outside front cover of your hymnals. This special service requires 3 weeks for completion. Spiral bound books cannot be imprinted. BOOKPLATES - As an additional service, we supply free of charge upon request "Presented To," "In Memory Of" and "In Honor Of" bookplates when a decision is reached to order one of our hymnals. For further details regarding imprinting or bookplates, please email us at hope@hopepublishing.com. If you have any questions regarding Hope hymnals do not hesitate to call us at 800-323-1049.